ODOREZE Natural Floor Odor Eliminator Natural Spray: Makes 64 Gallons to Clean Stink Fast Summary Eliminate floor odor using the power of natural floor cleaners. Odoreze™ Floor Odor Eliminator Spray will remove floor smell without harmful chemicals. This bio-based green concentrated deodorizer makes 64 gallons & really works! Hardwood floor urine odors don't stand a chance. 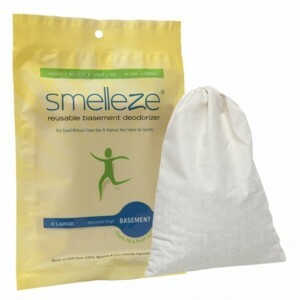 Features & Benefits • Removes floor smell instead of masking them • Bio-based deodorizer made from natural ingredients • No carcinogens, phosphates or harmful chemicals • Biodegradable, non-toxic, eco-friendly & effective • Economical- only costs 45 cents/working gallon • Made in USA Ready to Eat Off Your Floor? Your flooring endures a lot: foot traffic, children playing, pets running, dirt building up, the weight of furniture, and assorted spills and related problems. Pet accidents, food spills, urine, mold, and bacteria are among the many things making your floors smell less-than-lovely, so rather than attacking them with harsh, toxic chemical cleansers, why not go the natural route? Odoreze™ Natural Floor Deodorizer & Cleaner is the biodegradable, non-toxic, and eco-friendly answer to your floor odor issues. In addition to eliminating the toughest floor odors, Odoreze™ also makes dissolving and cleaning slime, grease, and waste deposits easy via state-of-the-art biotechnology! It is completely free of harmful chemicals, carcinogens, plus phosphates, and each concentrate bottle makes a whopping 64 gallons so it’s extremely economical to use even in large commercial applications. Odoreze™ Natural Floor Deodorizer & Cleaner works on a wide variety of flooring surfaces, including linoleum, tile, vinyl, as well as hardwood, and destroys rather than masks odors with harmful fragrances. And, none of our products are ever tested on animals. Our special natural plant based blend is also non-flammable. It’s easy to use. Simply dilute 2-4 teaspoons Odoreze™ super concentrate/gallon water to make your working solution and spray on floors and mop. Better still, just add it to your regular cleaning detergent and mop as usual to save a step. This way you will automatically deodorize your floor while cleaning it. You can also use Odoreze™ to wipe down any hard surfaces that has absorbed odors e.g. fridge, stove, oven, microwave, cutting boards, counter tops, sinks, tables, grills, ect. 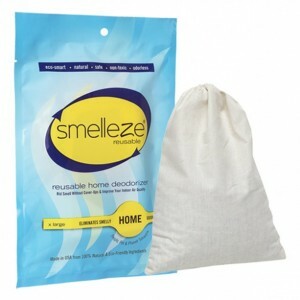 Use Odoreze™ as often as necessary to eliminate odors and clean. Take control of the challenging floor odors enveloping your home so it’s clean enough to eat off your floors! Purchase Odoreze™ Natural Floor Deodorizer & Cleaner today and clean the odors away easily!